It is a popular notion among cryptocurrency advocates that your cryptocurrency is as safe as your wallets are! It is the pros and cons of the different wallet that make the difference. Sometimes, you might not need an advantage that a kind of wallet offers and on the other side, you might essentially want to capitalize on one of the features that another different kind of wallet offers. It is important to understand the different cryptocurrency wallets that are available, and then go on to conclude which is the one that best suits your needs. Before we dive deep into the different types of cryptocurrency wallets, it is important to understand what cryptocurrency wallets are. It is a combination of a private key and a public address quite similar to a login ID and a password. the combination of the private key and the public address gives you access to your cryptocurrency and also gives you the options to transact using them. Now let us go on to explore the different kinds of wallets. The name is quite self-explanatory! Hardware wallets are hardware devices that are built with a specific purpose of handling private keys and public addresses. Largely, the hardware wallet is a USB-like device with an OLED screen and side buttons that help you navigate through the interface. Plugging it into a computer and interacting with it over native desktop applications for different currencies elevate the functionality of the hardware wallet. The hardware wallet does not use a battery and can be connected to either a PC or a mobile device. The hardware wallet might cost typically between $70 and $150. Considering the safety and security of your cryptocurrencies, it is surely worth the cost. Some of the most popular hardware wallets allow you to store more than 22 cryptocurrencies. The best examples of hardware wallets are the Ledger Nano S and Trezor. Paper wallets might seem simple with the nomenclature but it requires some technical skills and high level of question from the user. In a typical paper wallet, you print the private keys and the public addresses on a piece of paper and your Bitcoins or any other cryptocurrency on it. One of the greatest advantages of using a paper wallet is that it keeps your private key outside the network and that part enhances the security. However, not all cryptocurrencies offer paper wallets. 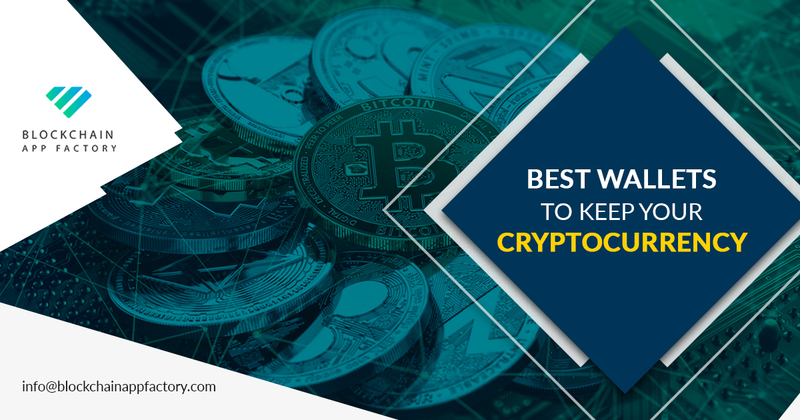 Most cryptocurrency evangelists consider the paper wallet as the second most secure way to store your cryptocurrencies and it can be exemplified by the fact that many popular cryptocurrencies allow the use of paper wallets. Desktop wallets are the old school manifestation of cryptocurrencies. They are installable software packages that can sit on popular operating systems like Windows, Mac, and Linux. Outside the question of security, any cryptocurrency that is serious about itself will launch their desktop wallets on the first day itself. However, since it is another software which connects to the internet, it is important to follow the basic safety measures like antivirus and anti-malware software. There are many desktop wallets like Exodus, Bitcoin Core and Electrum, and even Chrome extensions like Jaxx, that give an alternative to keeping your cryptocurrencies on exchanges. Mobile wallets, thanks to the mobile phone penetration and the uninterrupted connectivity, are the most popular type of wallets right now. They are designed to be easy to use and are compatible with both iOS and Android. Even if not for an iOS application, you are bound to find at least a decent Android version. Mobile wallets bring with them the advantages of notifications, the capacity to swiftly buy and sell cryptocurrencies on the go and real-time statistics on exchange rates. However, it is expected that the mobile wallet user does their due diligence on the factors like private keys, intuitiveness of the interface, the development and support community, the security and the compatibility of the mobile application before entrusting their cryptocurrencies a mobile wallet. Mobile wallets also have their iota of flaw, especially hot wallets, as they are constantly connected to the internet, the security is always at a bit of risk. Some of the most preferred mobile wallets are Mycelium, Coinomi, and Electrum. Web wallets are comparable to the digital banking interfaces of mainstream Banking. They are always connected to the internet and can be accessed using the web address via browsers like Chrome or Firefox. The private keys are held online in the browser itself and are prone to DDOS attacks. Web wallets can either be hosted or non-hosted depending on the type of wallet that you use. The non-hosted type of wallets are recommended as you are in full control of your funds. Some of the most popular non-hosted wallets are MyEtherWallet and MetaMask. The most notable hosted wallets are Coinbase and CEX.io. As it can be inferred from the architecture and the vulnerabilities, web wallets are the least secure wallet and they can only be considered safe as long as they do not get hacked or suffer any denial-of-service attacks. Cryptocurrency wallet services are a subset of the massive cryptocurrency industry and the blockchain at large. It is important to choose the right cryptocurrency wallet development service to ensure that the Mantras of cryptocurrencies like security, privacy tradability, and traceability are upheld without compromise. Blockchain App Factory brings you cryptocurrency wallet services and our multifaceted expertise can ensure that all types of cryptocurrency wallets can be developed according to your requirement. Our services do not stop with just development but we also go on to recommend the wallet that you can use that would be best suited for your requirement.